The term “Manifestation” used in the context of working with crystals – entails one projecting and programming their intention into the crystal being worked with. The crystal receives your manifestation wishes, then works with you in order to bring these wishes into physical reality. An example of this could be your car has broken down and you are of limited funds. You then work with a manifestation focused crystal to bring about a solution. You may choose many different ways of doing this – visualize yourself happily driving your newly fixed car. You may prefer to verbalize a mantra while holding the crystal – along the lines of “I’m grateful my car is fixed and running well”. Try not to constrict how a manifestation of your wishes may come about, allow for a positive and delightfully unexpected solution to occur! Simply focusing on the desired end result is all that is required. We recommend reading our encyclopedia term regarding the special manifestation crystal also known as a “Baby Within” by clicking HERE. Do you have a personal experience, question or information pertaining to the using manifestation with crystals? Please feel free to use the comments form below to share your knowledge with the Crystal Information encyclopedia. Please note, we moderate this feature to keep the site free from unwanted spam. Hi Anthony! I have been reading your blog the last few weeks and learning so much- thank you for sharing your knowledge with us laymen! 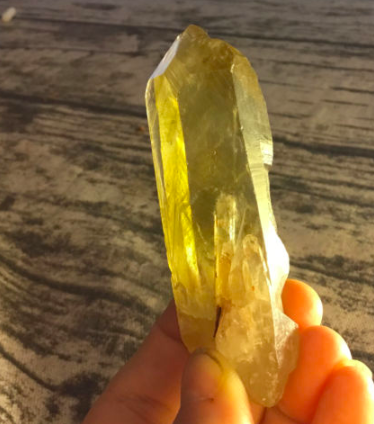 I wanted to write to you after coming across an interesting citrine crystal- it seems to have manifestations within it and I haven't been able to find much information on citrine with manifestations. 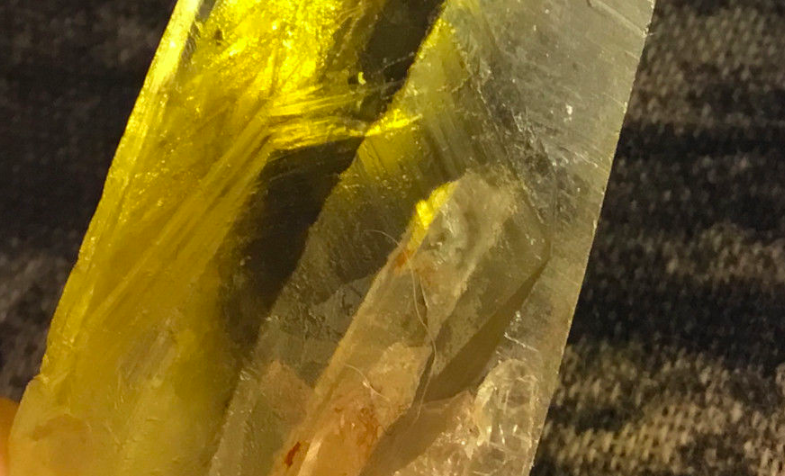 I was hoping you might have a few minutes to review the images I emailed and let me know what you think – and if it IS a manifestation within the citrine, should I be treating it any different than my other citrine stones? Hi Adrienne, we are so pleased to hear you are enjoying the site, thank you for your kind comments and the photos of the awesome Citrine baby within you sent us. I feel it definitely is a manifestation crystal – well done! Yes, to a point treat it as you would your other citrines, but if you are doing gridding work, or manifestation work with all of them, you may want to consider that one the “master” of the team!